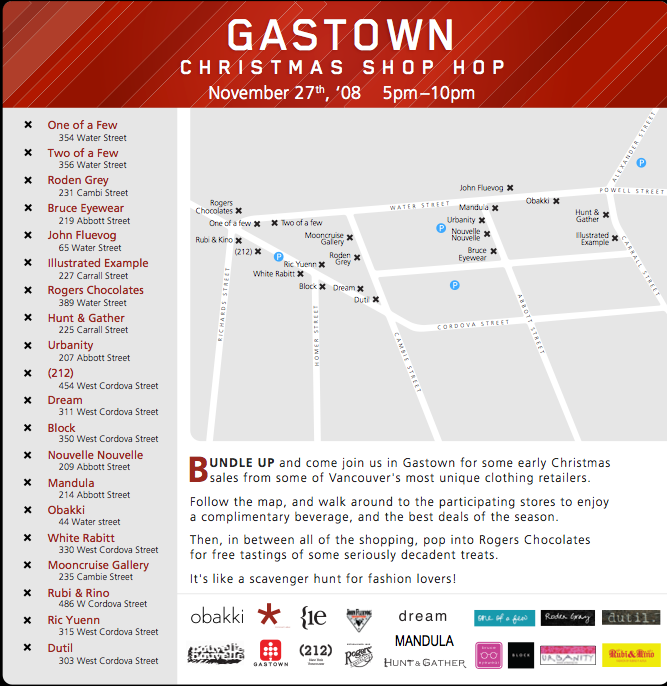 Gastown is having an XMAS SHOPHOP on Thursday November 27th from 5pm to 10pm. Bundle up and come join us in Gastown for some early Christmas sales from some of Vancouver’s most unique clothing retailers. Follow the map, and walk around to the participating stores to enjoy a complimentary beverage and the best deals of the season.